Big machine suction power. But with cord-free versatility. The Dyson Cyclone V10 Absolute Cord-Free Vacuum has a 40% bigger bin than our previous Dyson V8 Absolute Vacuum for the big cleans. 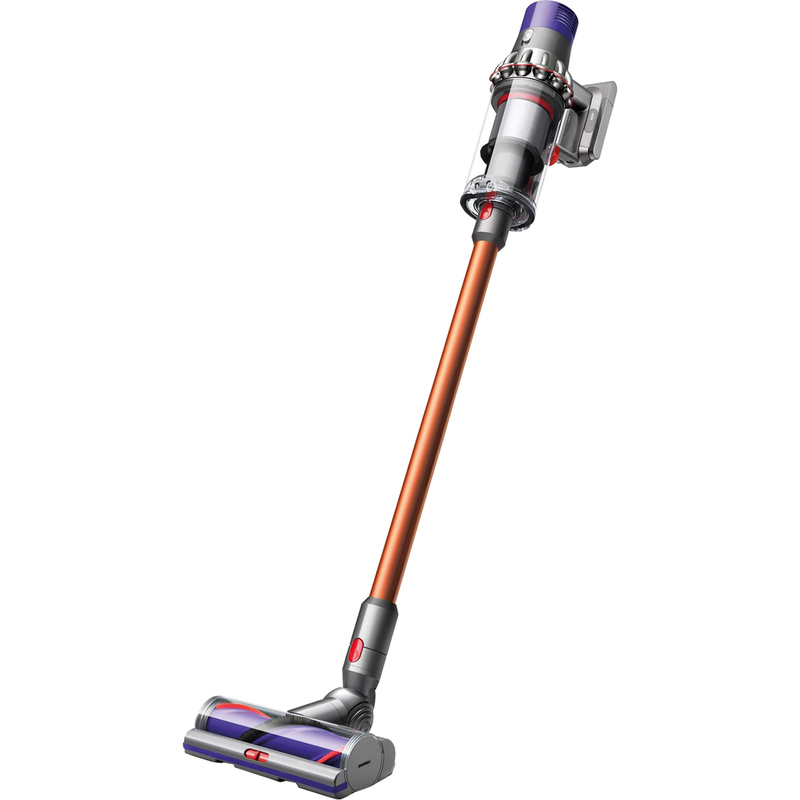 The torque drive cleaner head removes 25% more dust from carpets than our previous Dyson V8 Absolute Vacuum. It's our most powerful cleaner head yet. The soft roller cleaner head removes fine dust and large debris from hard floors. Has three power modes to choose from, to suit any task on any floor type. The Dyson Cyclone V10 Absolute Cord-Free Vacuum quickly transforms to a handheld for quick clean ups, spot cleaning and cleaning difficult places.